Dr. Edith Lord is a Professor of Microbiology & Immunology and Oncology. 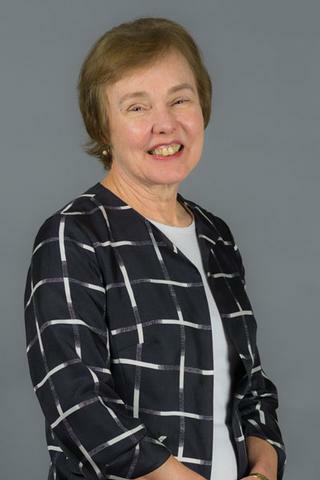 Dr. Lord received her BA degree in microbiology from the University of Kansas in 1970 and a Ph.D degree in immunology from the University of California at San Diego in 1975. She was a postdoctoral fellow at the University of California at San Francisco. As a faculty member since 1976, Dr. Lord has demonstrated excellence as a scientist and dedication to the training of graduate students and postdoctoral fellows. From 2006-2008, Dr. Lord led the graduate program in the Department of Microbiology and Immunology. She was the Senior Associate Dean for Graduate Education and Postdoctoral Affairs at the School of Medicine and Dentistry from 2008-2018. In her research, Dr. Lord focuses on the immune responses that can control tumor development and how immune cells function within the unique microenvironment of growing tumors. She has published, as author and co-author, more than 130 scientific articles and continues her passion for research today. Gerber SA, Cummings RJ, Judge JL, Barlow ML, Nanduri J, Johnson DE, Palis J, Pentland AP, Lord EM, Ryan JL. "Interleukin-12 preserves the cutaneous physical and immunological barrier after radiation exposure." Radiation research.. 2015 Jan 0; 183(1):72-81. Epub 2015 Jan 07. Martin DK, Uckermann O, Bertram A, Liebner C, Hendruschk S, Sitoci-Ficici KH, Schackert G, Lord EM, Temme A, Kirsch M. "Differential growth inhibition of cerebral metastases by anti-angiogenic compounds." Anticancer research.. 2014 Jul 0; 34(7):3293-302. Gerber SA, Lim JY, Connolly KA, Sedlacek AL, Barlow ML, Murphy SP, Egilmez NK, Lord EM. "Radio-responsive tumors exhibit greater intratumoral immune activity than nonresponsive tumors." International journal of cancer.. 2014 May 15; 134(10):2383-92. Epub 2013 Nov 11.